As of the time of this writing, there’s no public announcement on a Chrome OS Dev Channel update today, but one appeared on my Pixelbook. It’s version 68.0.3437.0 and the good news is that it fixes the Terminal app for Linux if you’re running the Project Crostini containers. For the past two weeks or so there have been some issues — which you’d expect — as new Dev Channel releases have rolled out: One of which brought up a blank, useless terminal. There was a workaround to access your Linux container in this case. However, the good news is that those workarounds aren’t needed any more; at least not for now — I bookmarked the workaround commands in case the Terminal blows up in the future. 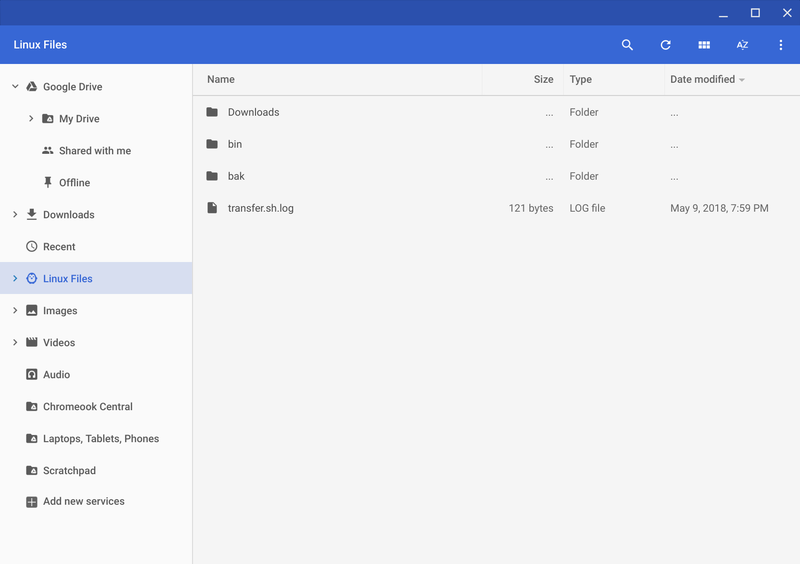 Crosfan on Reddit configured a URL to show the release note changes for Dev Channel 68.0.3437.0 and notes that along with the Terminal fix, several efforts to mount the Linux files on the Chrome OS Files app are in the code as well. It’s still not an automatic mount, so the SSH approach that I outlined prior is still needed and works. Update: Actually, it is an automatic mount provided you enable the #crostini-files flag in chrome://flags. I didn’t have that enabled but thanks to DennyL’s comment, I tried it and it works! Note: I do have the #crostini-files flag toggled on. OOH! Good find! I just enabled that flag and see the same. I’ll update the post to reflect this. Thanks! I am brand new to Chromebooks as well as Linux. I am extremely interested in the prospect of running full fledged Linux desktop apps on a Pixelbook. How does one opt into the Dev Channel? Is there a cost associated with the Dev Channel? Thanks so much for your time. First of all: Welcome to the Chromebook world! 🙂 Second, it’s quite easy to use the Dev Channel on a Chromebook; it’s a simple setting change that I outline here at the bottom of this post: https://www.aboutchromebooks.com/qa/whats-the-difference-between-developer-mode-and-the-dev-channel-on-a-chromebook/ There’s no cost, but realize that the Dev Channel changes quite a bit more than the Stable Channel that the majority of Chromebook users are on. So you may see some strange behavior and occasional crashes. Regardless, the beauty of a Chromebook is that you can switch channels or even wipe and reset your device in a matter of minutes, so have fun! To add, please keep in mind this is only available in the dev channel and *only* on the Pixelbook at the moment. It will be available on more devices as it gets a little more polished so if you don’t have a Pixelbook you’ll have to wait a bit – no dates have been announced.